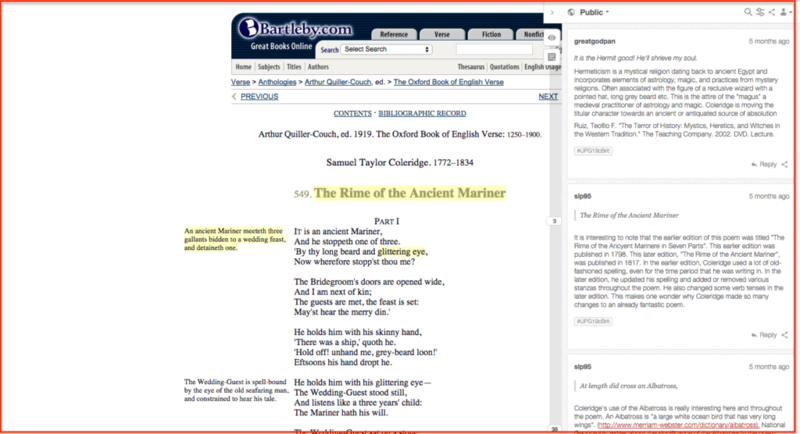 While the majority of our educational use is through our private groups feature, we have many classes collaboratively annotating online texts in public. 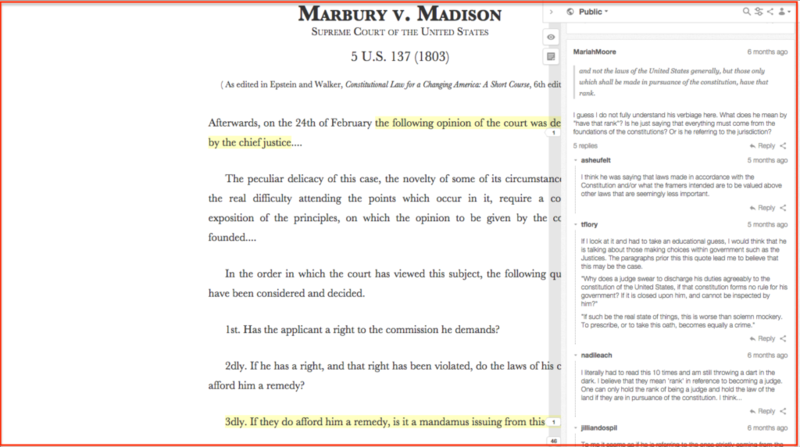 Here are some examples of such course work so you can see the tool in action. 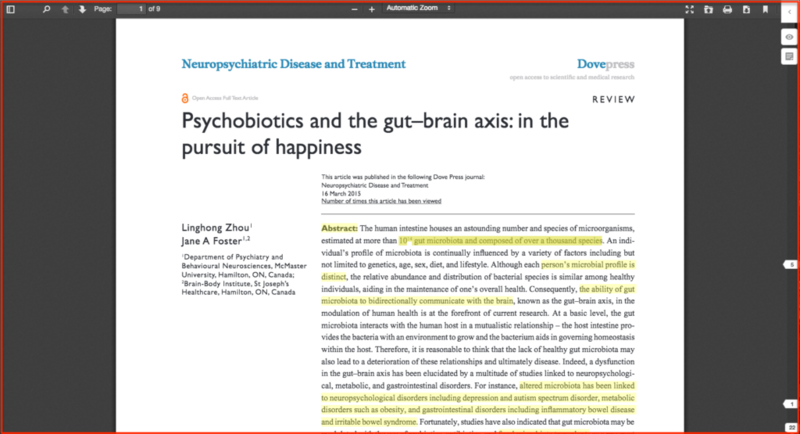 Click the links to visit the annotated documents. 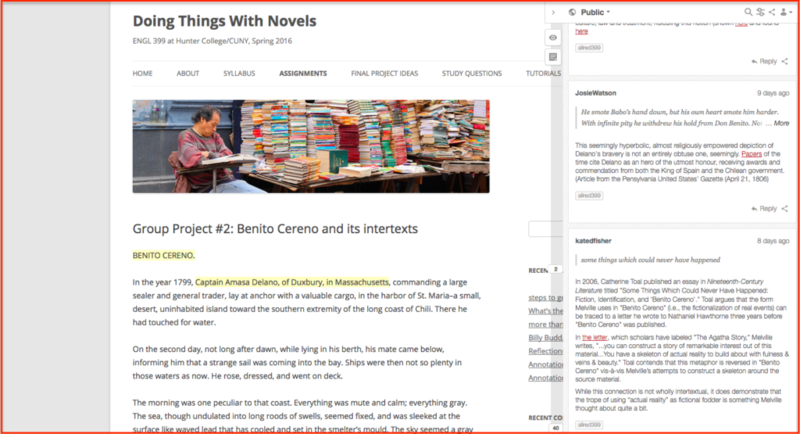 Check out the stream of the class’s work from throughout the semester here–this stream was created because the students used a course tag in their annotations. 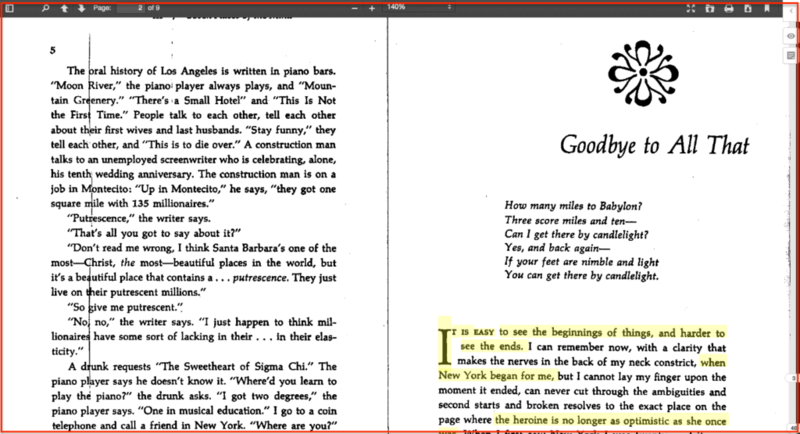 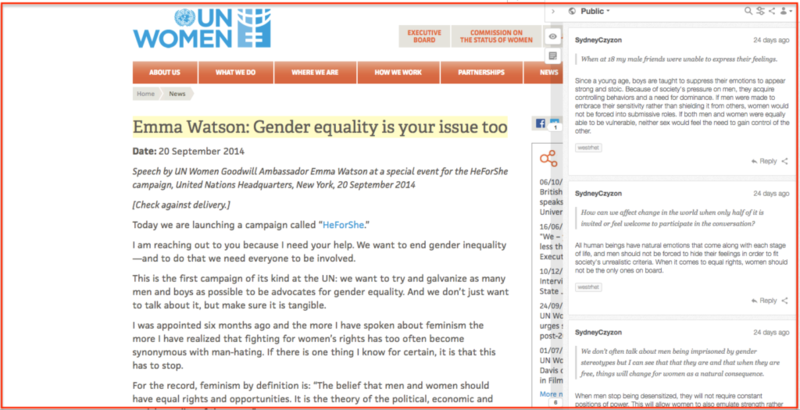 NOTE: For more on hosting PDFs on WordPress, see this blog-tutorial. 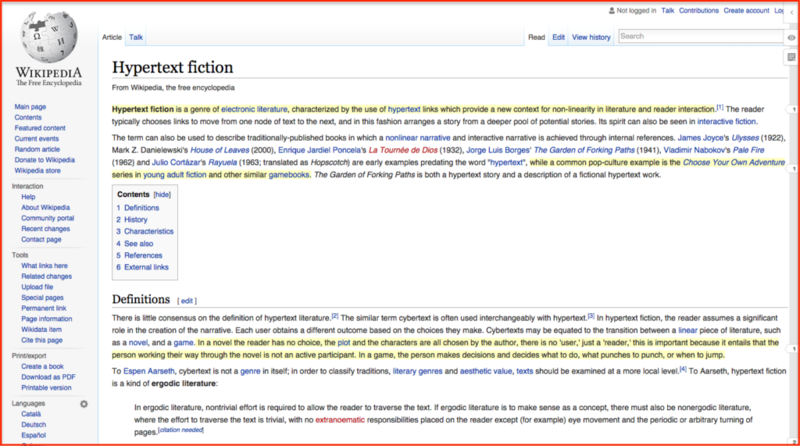 NOTE: For more on the hypothes.is WordPress plugin, visit this page. 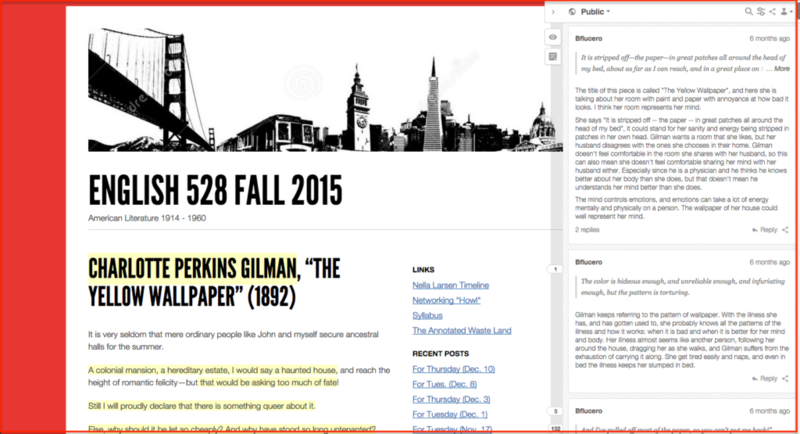 Check out the stream of the class’s work from throughout the semester here. 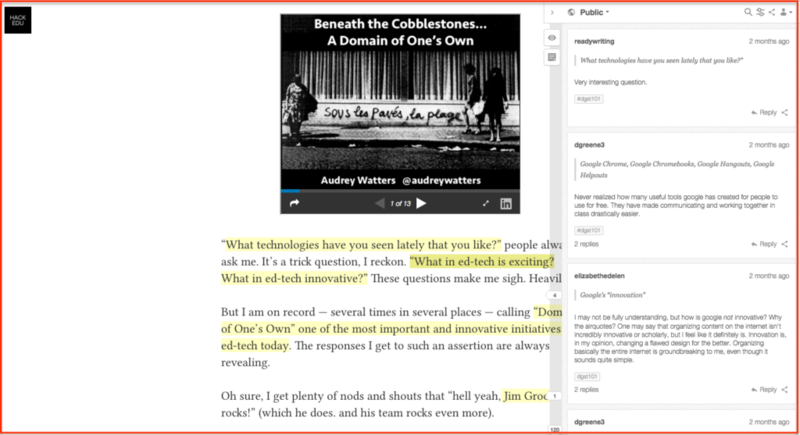 UPDATE: The author of the blog has blocked annotation, but you can view an out of context stream of the class’s annotations on the text here. 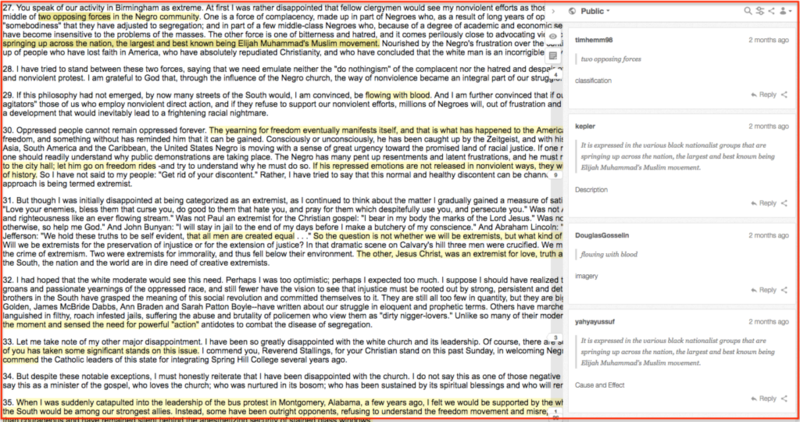 One undergrad composition student’s rhetorical analysis of an online journal article. 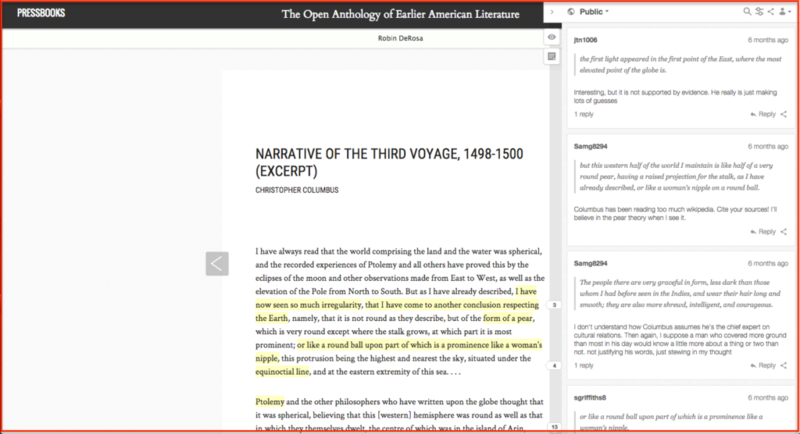 Check out the stream of her annotations for the research project here.